Whether your style is weeknight beer-can racing or competing on the world stage – the J/24 is the most popular racing keelboat around the world. It all started in the summer of 1975. Rodney Johnstone designed and built a sailboat to accommodate his family and to be a competitive racer. The J/24 class was launched! Forty years later, the J/24 has become a legend. A stable sailboat for family togetherness, the J/24 has also been the competitive launch pad for the careers of numerous sailing professionals. While some of the world’s best sailors have the latest version J/24, a well-prepared 1977 model can still win the J/24 Class world championship. That’s “One Design” racing! The International J/24 is presently built in the U.S., Argentina and Italy and has more than 50,000 people sailing over 5,400 boats in 27 countries. 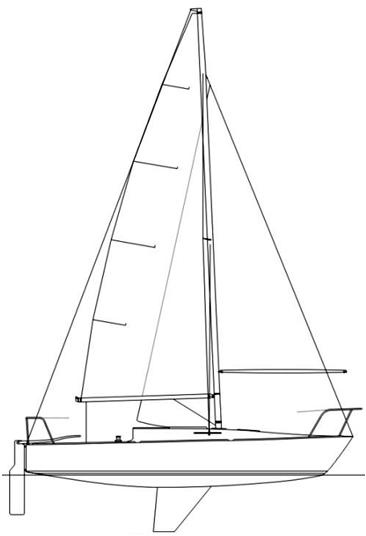 Fleet #181 grew out of the competitive PHRF keelboat fleet in 2015. There are currently 10 J/24s at ISC. Our J/24 fleet is active in racing on Geist Reservoir every week throughout the season. Many of our skippers and crew also travel and race throughout the Great Lakes and Florida. There are all levels of sailors within our fleet from beginner to expert with one thing in common – We love sailing the J/24!